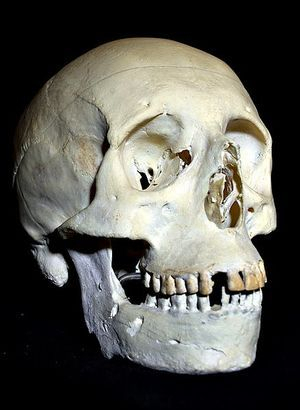 Analysis of skeletons from Roman burials in York has established their origins, build and age, as well as evidence to support the theory they were gladiators. The 2004-05 excavations of the Roman cemetery in York yielded 75 male skeletons believed to be gladiators. Since then,a rchaeologists and anthropologists have analysed the remains, paying close attention to six bodies. Their studies have revealed the places of origin of the men and their height and build. The injuries to their bodies, during their lives and at the time of their deaths form a compelling body of evidence for the theory that they were Roman gladiators. In order to establish the men’s birthplaces, teeth from the skeletons were analysed. The isotopic composition of oxygen and strontium found in water varies from region to region. These isotopes are deposited in the teeth, providing a permanent record of an individual’s childhood home. The results show that the men from Rome were not native to Roman Britain but originated from all over the empire. Locations vary from the southern Mediterranean, to North Africa and central Europe. This would fit with the idea that the bodies were gladiators rather than soldiers. Roman military units were generally formed from recruits from the same region. Gladiators, as slaves and commodities, could come from anywhere. Simple measurements of the skeletons showed that the individuals were taller than the average Romano-British male. The height of the six bodies heights varied between 5ft 6” (1m 70cm) and 6 ft tall (1metre 80 cm). The bones also show the muscular development of the individuals. With few exceptions, the bodies in the graves had well developed physiques, particularly in the arms and shoulders. One in seven of the skeletons revealed substantial arm asymmetry. This refers to the humerus (upper arm bone) of one arm being longer than the other. In one case, the right humerus was 18mm longer than the left. This deformity is associated with the repetitive use of one part of the body before puberty rather than general manual work. This suggests consistent sword practice from a young age, a feature mentioned in Roman literature in connection to gladiators. Sixty of the skeletons were practically complete and their bones showed signs of extremely violent lives. A third of the skeletons showed signs of wounds that had healed prior to death. One man’s injuries are unique. Buried with 1kg iron rings soldered to his feet, his bones indicate he wore them quite a while before he died. His shin bones showed signs of swelling, probably caused by the chaffing of the rings. The fibular of one leg, which had been broken and healed badly, may have been accidentally broken when the rings were fitted. The rings were certainly not fitted to a free man, but the individual was buried with great respect. None of the men were particularly old at the time of their death with ages ranging from the 20s to the late 30’s. All met violent ends. Forty five of the men were beheaded and twenty had signs of sharp force and blunt force trauma-(sword wounds and blows that would have been fatal). Penetration wounds from a tiger. One skeleton was found to have puncture holes in his collar bone and hip which were found to correspond perfectly with a tiger tooth. The only place anyone in York was going to encounter a tiger was in the arena. Death by a blow to the head. Another body was killed by a blow from a blunt instrument which knocked a piece of skull into his brain. Archaeologist have speculated that this could have been a hammer blow from one of the team of amphitheatre officials who represented the gods of the underworld. One, Charon, was charged with the task of ensuring a defeated, unreprieved gladiator did not leave the arena alive. To do this, he issued a blow to the head before the corpse was dragged from the arena. Killed on horseback. A slightly built man was found with slightly bowed legs, suggestive of a life frequently spent on horseback. Above his knee was an unhealed wound which would probably have severed an artery leading to death. This man may have fought on horseback in the arena. Finally, some of the skeletons displayed characteristics which could suggest what type of gladiator they were in life. The individual killed by the tiger did not have a particularly well developed physique, suggesting he had received no special training. He may well have been a condemned criminal sentenced to fight wild animals in the arena, hence the nature of his death. The heavy build of other skeletons suggests they could have carried out the heavy armour and equipment of the secutor or murmillo, whilst stress lesions on the collar bone of one skeleton suggest in life his arms were subjected to constant circular rotation. This would correspond life of the retiarius or net man.